Hallyu, or “Korean Wave,” is the unforeseen increase in popularity of South Korean culture. Korean drama TV shows and films, known as K-drama, and Korean pop music, known as K-pop, globally arose in the mid-1990s by the influence of the Internet and social media. By now, we should know PSY, the singer of the 2012 hit with “Gangnam Style,” and the Billboard Music Award-winning K-pop group BTS. However, the list does not stop there. There are many other Korean soloists and K-pop groups who also receive great attention for their impeccable music videos and concepts. These idols promote the majority of Korea’s beauty standards. Most of the artists in the K-pop industry have attractive and fit body figures, from flat stomachs to small waistlines. So, what is their secret to achieving the ideal body type that many people dream of? Along with their daily dance practices and exercises, K-pop idols follow strict diets, especially before they stand on stage. Korean singer and songwriter IU is well-known for her extreme diet plan. She separates three foods into three different meals to reach her standard weight. IU consumes one apple for breakfast, two sweet potatoes for lunch, and a protein drink for dinner, according to Channel Korea. After keeping up with this diet for four days, she lost nine pounds, Channel Korea reported. Miss A member Suzy followed a diet regimen that transformed her appearance. In the morning, she ate a piece of chicken breast, a sweet potato, and a cup of low-fat milk, and three hours later, she ate vegetable salad with brown rice, according to Channel Korea. For her final meal of the day, she had two sweet potatoes. She diligently worked for three months to lose 50 pounds, Channel Korea reported. SISTAR’s Soyou lost 17.5 pounds in one month with a fixed diet plan consisting of sweet potato in the morning, three boiled eggs with bread in the afternoon, and three pieces of a Korean seaweed rice roll called kimbap, according to The Korea Daily. In addition to this, Soyou exercised all day by doing yoga and other workout activities, Channel Korea reported. “When [our group] is scheduled to release a new album, it’s usually in the summer time. My body reacts automatically. I find myself vigorously exercising, and I tell everyone that I’m going to go on a diet. Dance practice also helps a lot to maintain my body shape,” Soyou said in an interview with Channel Korea. After finishing these extreme dieting methods, they maintain their weight by consistently working out and limiting their food intake. Most K-pop idols have diets that have basic nutrients to satisfy their body, according to The Korea Herald. 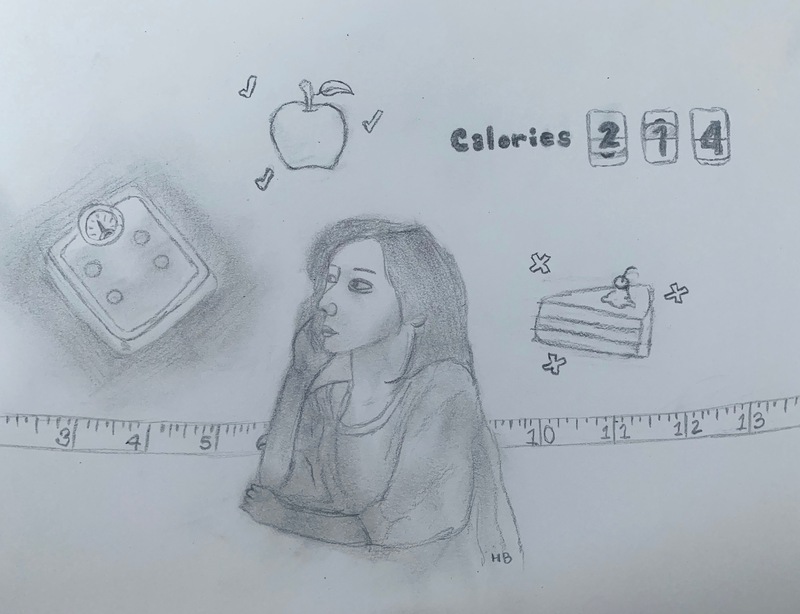 On top of the insufficient calories, they exercise for long hours each day, risking their bodies into danger, according to The Korea Herald. The Korea Herald reported that although these diets resulted in them losing weight quickly, they created stress, depression, and other health problems.